Native American Tribal History, lore, and tidbits of interest that I find from time to time to share with my readers. Miami Chief Little Turtle was one of the last War Chiefs of the mighty tribes that lived in Indiana. He is known for being a great military strategist along with creating a confederacy of many different tribes to try to stop the encroachment of the Native Peoples lands of many generations. It is said that Chief Little Turtle was around 6 feet tall and was known for his subtle nature along with his prudent handling of most circumstances that came into his life. Let’s find out more about this man who lived and fought for his people. He encouraged the members of his tribe to abstain from drinking the alcohol of the the white settlers and he also tried to promote new farming techniques that could be learned from these curious people with the light skin. Perhaps he saw both good and bad in the people who would eventually take the land away from his people and the other indigenous peoples who had inhabited this continent for centuries. Miami Chief Little Turtle was born around 1747 near Devil’s Lake in what is now Whitley County, Indiana. The area is northwest of modern day Ft. Wayne, Indiana. Some sources say that he was called Little Turtle because his father was known as Turtle. It is believed by many historians that Little Turtle’s mother was a Mohican but little is known of her. Little Turtle was not the main Chief or civil chief of the Miami people. Instead he was what is known as the War Chief or the chief military leader of the Miami Indians. He gained this position around 1790 according to most historians. Up to 1790 the Shawnee, Delaware, and other displaced natives began to gather near the Miami villages at the head of the Maumee River which is near present day Ft. Wayne, Indiana. Chief Little Turtle, of the Miami, led a confederacy of Native Americans that defeated General Arthur St. Clair on November 3, 1791. The multitribe band of warriors were trying to keep the Americans off of the land that they had lived on for generations. The battle was fought at what was later to become Ft. Recovery which is now on the boundary line of Ohio and Indiana. Little Turtle, with the help of Blue Jacket, delivered a defeat to the U. S. Army that has since been deemed the worst defeat ever to be dealt by the indigenous peoples of North America. General St. Clair lost 602 men in the battle with another 300 wounded out of the 1300 soldiers he started with. The War Chief, Little Turtle, had 1000 warriors in his confederation of different tribes and only lost 66 men. Although he became one of the most successful war leaders of his people and other tribes who joined with him, Little Turtle tried to keep peace for his people. The Miami Chief lost favor with the Native Americans as a whole when he signed the Treaty of Greenville in 1795. It was a very unpopular thing for him to do. The Shawnee and other tribes questioned his right to sell land to the white settlers, saying that it was not his to sell. He felt it was his land and also that it would protect further land from being taken by the white settlers. History shows us that he did in fact make the wrong decision because the Americans would eventually take all of the land. Come sit in the circle of peace with Chief Little Turtle’s spirit and me. Let us know you stopped by with your comments. One of my favorite historical fiction books is Panther in the Sky by James Alexander Thom. 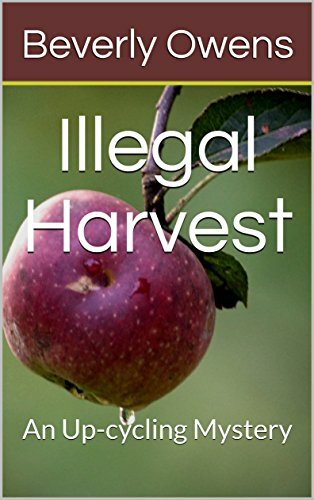 The book is about the life of Tecumseh a Shawnee Chief who tried desperately to unite his people to stop the encroachment of the white settlers into his land. Thom tells a believable story that makes you feel that you are actually there living Tecumseh’s life with him and the Native Americans at this time in our country’s early history. Panther in the Sky begins with Tecumseh’s birth on a night when a comet streaked across the sky around March 9, 1768. His name means “shooting star” or “panther across the sky” and is how the author Thom derived the title of this remarkable book. 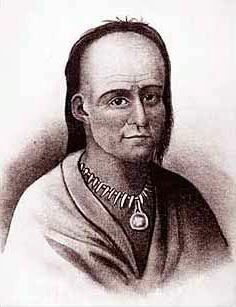 James Alexander Thom of Bloomington, Indiana wrote about the life of the Shawnee Chief, Tecumseh in his book entitled Panther in the Sky. The book is historical fiction at its very best and was first published in 1989. 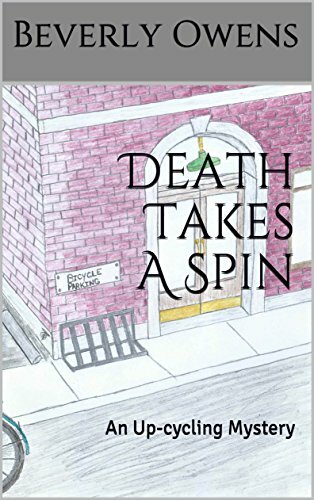 The paperback edition was released in 1990. Tecumseh is known as one of the last great chiefs of the Shawnee. He opposed the white settlers moving into Indian lands and tried to start a confederacy of several tribes to stop the encroachment of the white men. 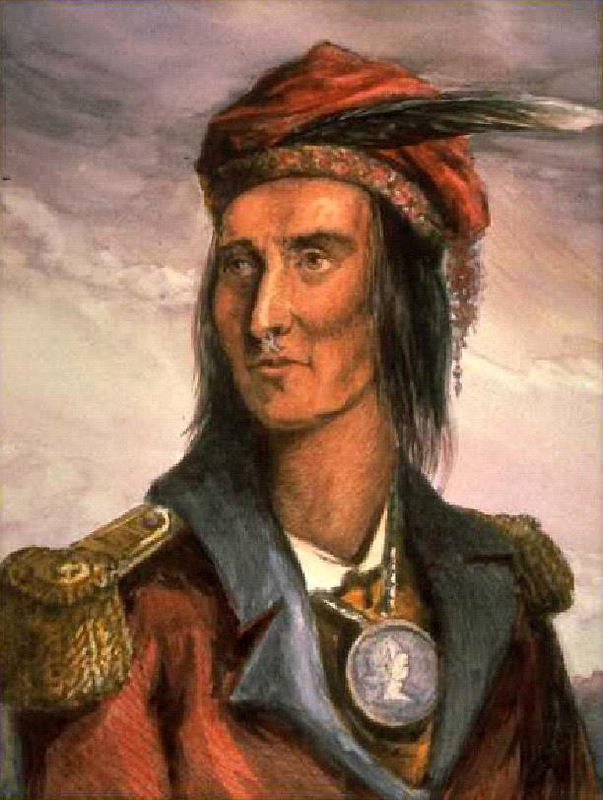 Perhaps you have heard of Tecumseh’s War which was fought in the Indiana Territory. The book begins with the birth of this great warrior chief and ends with his final battle. Thom brings the character of Tecumseh to life and does a wonderful job of describing what we can only imagine this great man thought and felt. The accuracy of the history of this era in America is superb. A Quote From Tecumseh: Show respect to all people, but grovel to none. Thank you for stopping by to read my book review about Panther In The Sky by James Alexander Thom. Please feel free to leave a comment or just to say you were here. Red Cloud was one of the last of the mighty Sioux Chiefs from the Indian Wars of the 1800’s to survive. He was a powerful leader of the Oglala Lakota (Sioux) and spent his final years at the Pine Ridge Reservation continuing to lead his people in the transition of the freedom of the plains to reservation life. Follow me now on a journey back to a time when the First Nation People were forced off of their lands and were deceived over and over again by treaties that were never meant to be kept by encroaching white men. There is some discrepancy of the actual birth date of Red Cloud. Some places state that he was born in 1819 and other say 1822. He was born somewhere close the forks of the Platte River in what is now Nebraska. His mother was Oglala and his father was Brule. It is said that Red Cloud was a strong swimmer in his youth, swimming across the Missouri and Yellow Rivers. He also was very talented in breaking horses. It is said that as a young boy he trained his horse so well that he could ride without a lariat and control his horse just by the movement of his legs. At a young age, Red Cloud gained strong military skills by fighting against neighboring Pawnee and Crow over land and hunting rights. You will hear Chief Red Cloud referred to as an Oglala Sioux and sometimes as a Lakota Sioux and it might confuse you. The Oglala Sioux are a band of the Lakota or Teton Sioux which in turn is one of the 3 divisions of the Sioux Nation. The United States government met with a formidable opponent when they came up against Red Cloud. It is said that he was one of the most capable rivals that the U. S. Army ever faced. During 1866 and 1867 there were a series of conflicts between the Lakota Sioux and the U. S. military over the rights of the land of the Wyoming and Montana territories. These conflicts have become known as Red Cloud’s War. Crazy Horse, Red Cloud, and about 2,000 Arapaho, Sioux, and Cheyenne defeated Captain Fetterman and his troops in December of 1866. This victory of the Lakota made the government take notice of the situation. There was a peace commission created and it was found that the whites were the cause of the problems and a treaty was signed at Ft. Laramie with the whites promising to leave the land forever. It didn’t take long for the treaty to be broken as gold was found in the Black Hills and the white men started moving in. 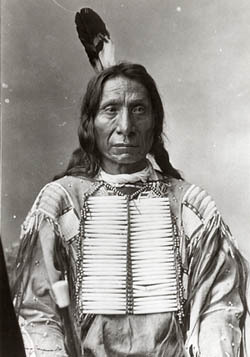 Red Cloud had worked for his people and had even visited Washington D.C. by 1870. His mission was to get the government to send rations to the Lakota and shortly thereafter the Red Cloud Agency was formed. General George Armstrong Custer moved troops into the Black Hills by 1874 due to the gold rush. This didn’t sit very well with the Sioux nation and trouble began again. Red Cloud refused to cede this territory to the whites as did the other leaders. 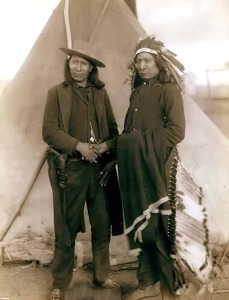 The Great Sioux war was lead by Crazy Horse and Sitting Bull in 1876 and 1877. Red Cloud did not participate in the war. His people were moved to what is now the Pine Ridge Reservation. Red Cloud continued to try to take care of his people as they had to transition into reservation life. He died at the age of 87 on December 10, 1909. He is buried at Pine Ridge. 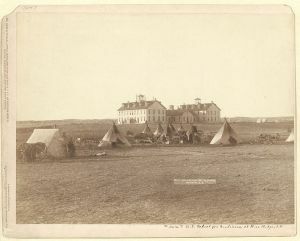 Red Cloud Indian School was formed on Pine Ridge Reservation in 1888 at the request of Red Cloud. He continually asked that the “Black Robes” be allowed to come to the reservation to form a school. The Holy Rosary Mission was formed by the Jesuits and the Franciscan Nuns and a school was established. Red Cloud had begged for the Sina Sapa (black robes) come to the reservation “so that our children may be as wise as the white man’s children”. He was a man of foresight as he could see that the Red Man’s way of life would be no more. He understood that the best way for his people to survive was for the children to be educated. Red Cloud Quote: They made us many promises, more than I can remember, but they never kept but one; they promised to take our land, and they took it. Chief Red Cloud was an honorable man and a great protector of his people. He was said to be a great orator. He married only one woman in his lifetime and was said to be quite the gentleman. He was a devoted father to his children. He was loved by his people and was continually disappointed in the white men’s deception. He lived his last years a blind man on the reservation at Pine Ridge. Before the European settlers became present west of the Mississippi River around 1680, the Comanches began to become a unique group in the Plains region. It is believed that they broke away from the Shoshone around this time when horses were introduced by the Pueblo peoples. The horse gave a greater mobility and allowed migration in a faster manner. It is believed that the Comanches were the first of the Plains peoples to fully incorporate the horse into their culture and probably introduced the animal to the other plains tribal traditions. They became well known for trading horses to the French and Americans. Many of the horses were stolen from other tribes or came from the 2,000,000 feral horses at their disposal. Have you heard of the “Comanche Moon”? This phrase became popular because the Comanche liked to perform their raids during a full moon. The light of the moon would aide them in their plans. It has been reported that the Comanches were known to have been at war which just about every other tribal tradition on the great plains. They were fierce fighters and at one time it is believed they numbered around 40,000. This remarkable group of people were able to keep their independence and actually increase their territory when other Nations were falling to the influx of the white settlers. That is until around the mid 1800s when disease from the European settlers began to diminish their numbers. Smallpox and measles were diseases that they had no immunity for. The last free band of Comanche, led by Quanah Parker, surrendered and was taken to the Ft Sill reservation in 1875. In the old west there were several methods of taming horses, I’m sure most folks had their own way of doing it. But did you ever hear that there was a method used where indian blankets tamed horses? There sure was! It was called the Indian Blanket Act. Cowboys preferred a horse that had been “Injun Gentled” because the horse usually came from a strong stock and was easily managed. Now sometimes the Native American who had tamed the horse used a method of gently getting to know the horse over several days. That’s where the “gentled” term comes from. It would seem that with patience the Native broke down the natural fear that a wild horse would have over encountering this two-legged being that didn’t smell like horse. Depending on the horse, this method might take a long time to finally get the desired end result of being able to ride the no longer wild horse. 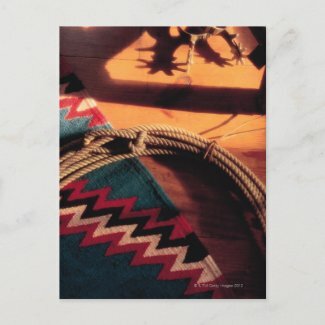 Native American blanket , lasso , and spurs Postcards by prophoto at Zazzle. Another method often used was for the Native American to use an Indian Blanket. This method became known as the Indian Blanket Act. From what I can tell, this method took less time. A matter of an hour or two and the horse had lost its fear. Some would say that the Native hypnotized the horse with the blanket but I think there was more to it than that. It seems that the practice was to get the wild horse in a corral. Now you know that horse is tense and scared and looking for a way to get out. The Native would get into the corral with the horse, keeping his distance. He would alternate from standing perfectly still and using slight movement to keep the horse’s attention. The aim was not to spook the horse but to get him or her calmed down. I don’t think the blanket was a way to hypnotize the horse but it gave a slight movement from any wind that was blowing. After a while the horse sees that this two-legged is no threat and a trust starts to form. The spirit of the horse wasn’t broken by being roped and bullied but gentled because the fear was taken away. Sometimes the cowboys of the old west referred to the taming of a horse with the indian blanket act as having been “Indian signed”. That’s because many of the blankets back then told a story through the designs used. Most often there was a history unfolding in the story which became known as the Indian Sign.